It’s a pity that the EU Special Representative (EUSR) for the South Caucasus and the crisis in Georgia did not contribute to the effort to resolve the Nagorno-Karabakh conflict, writes Dr Gulshan Pashayeva. Dr Gulshan Pashayeva is deputy director of the Centre for Strategic Studies under the President of the Republic of Azerbaijan. However, across the centuries, including the last century, the casualties of various wars have typically been subject to quantitative estimates, without anyone giving serious thought to the value of the life of an individual human being. 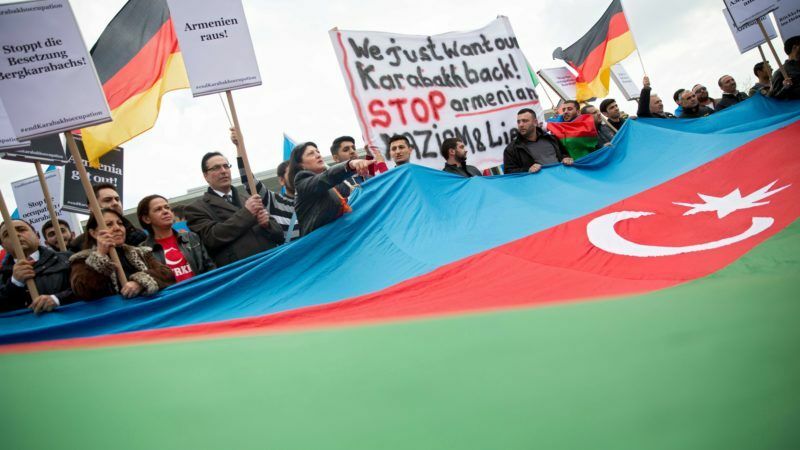 In this context, the recent human tragedy drew the attention of the world media to the Nagorno-Karabakh conflict located on the southeastern edge of Europe. This incident took place in the village of Alkhanly in the Fizuli district on 4 July when, as a result of Armenian shelling two civilians were killed – a two-year old toddler and her grandmother – and another civilian from the same village was wounded and hospitalised. The OSCE Minsk Group co-chairs expressed their serious concerns regarding this ceasefire violation, underlining it as a provocative action that undermines peace efforts and could provoke a breakdown in the forthcoming negotiations. However, we should not forget that the peak of the previous fierce violations of international humanitarian law coincided with the Khojaly genocide [Representatives of Azerbaijan refer to the Khojaly massacre, also known as the Khojaly tragedy, as “genocide”]. On the night of 25 to 26 February 1992, 613 people, including 106 women, 63 children and 70 elderly, were killed at the hands of Armenian armed forces with the assistance of servicemen of Infantry Guards Regiment No. 366 of the former Soviet Union. In addition, 487 people were wounded, including 76 children; 1,275 people were taken hostage and 150 people were reported missing in Khojaly. Over the years, a total of 30,000 people from both sides have been killed and more than one million refugees and IDPs (internally displaced people) scattered around the world, as well as within Azerbaijan and Armenia. These are the direct humanitarian consequences of this armed conflict, and the survivors have been waiting for the resolution of the conflict for more than two decades. The world community is, to some extent, responsible for the delay in reaching the resolution. Despite four UN Security Council resolutions (822, 853, 874 and 884) that affirm the sovereignty and territorial integrity of the Republic of Azerbaijan; demand the immediate, complete and unconditional withdrawal of occupying forces from all occupied territories of the Republic of Azerbaijan; call for the return of displaced persons to their homes etc., no specific further actions have been taken for more than twenty years. In addition, although the co-chairs of the Minsk Group have declared on more than one occasion that the status quo was unacceptable, they have focused their efforts on preventing escalation rather than on reaching a peaceful settlement to this conflict. The EU’s involvement in the resolution of this conflict has been very limited and consistent with the OSCE Minsk Group’s mediation efforts. It has supported various peace building initiatives. On the other hand, it is pity that the EU Special Representative (EUSR) for the South Caucasus and the crisis in Georgia could not contribute to the Nagorno-Karabakh conflict in close consultation with the OSCE Minsk Group co-chairs so far. Fourteen years have passed since the July 2003 appointment of Heikki Talvitie to this post, then called EUSR for the South Caucasus. Since then there have been four more EUSRs – Peter Semneby, Pierre Morel (who was assigned to the post of EUSR for the crisis in Georgia in the aftermath of the Russia-Georgia war in September 2008 but this post was terminated in August 2011 and its responsibilities merged with those of the EUSR for South Caucasus), Philippe Lefort, and the current Representative, Herbert Salber. They have tried to contribute to a peaceful settlement of the conflicts in the South Caucasus since 2003. However, there is no settlement in sight and the humanitarian situation around Nagorno-Karabakh conflict has deteriorated. It is time for the EU to play a more determined and just role in the resolution of this conflict and be stronger and more vocal in regard to the systematic violations of international humanitarian and criminal law. In this context, it is very encouraging that, according to A Global Strategy for the European Union’s Foreign and Security Policy, the EU aims to promote “the responsibility to protect, international humanitarian law, international human rights law and international criminal law” as well as to support “the UN Human Rights Council and encourage the widest acceptance of the jurisdiction of the International Criminal Court and the International Court of Justice” . Therefore, today it is very important to work towards strengthening the humanitarian dimension of the Nagorno-Karabakh peace process. By improving the humanitarian situation on the ground and respecting international humanitarian law, as well as taking a more robust stance incorporating political and diplomatic pressure, the EU and the OSCE Minsk Group can help overcome the current disagreement between the conflicting parties and move forward in the direction of a lasting resolution of this protracted armed conflict. Karabakh belongs to Christian Armenia. For once I agree with Ms Pashayeva: it is indeed time for the EU to play a more determined and just role in the resolution of this conflict. And, definitely, the EUSR should be able to contribute. For starters, it would be good if Azerbaijan would finally allow the EUSR to visit the territory of Nagorno-Karabakh. Because, as Ms Pashayeva reminds, “everyone has the right to life, liberty and security”, including the population of Nagorno-Karabakh and even journalists, human rights activists and opposition leaders in Azerbaijan. Pity that, as usual, Ms Pashayeva doesn’t mean what she says, and her bosses are more interested in using the civilian deaths for propaganda than in respecting the ceasefire.